Desert gardening: Miracles do happen! As I had mentioned in an earlier post, my partner and I have taken to gardening out here in Arizona. It took eight days and a night for these little beauties to emerge. *chokes back verklempt sigh of pride. * They began reaching for the sky right after a substantial rainfall this past weekend, that is actually our first for 2014. 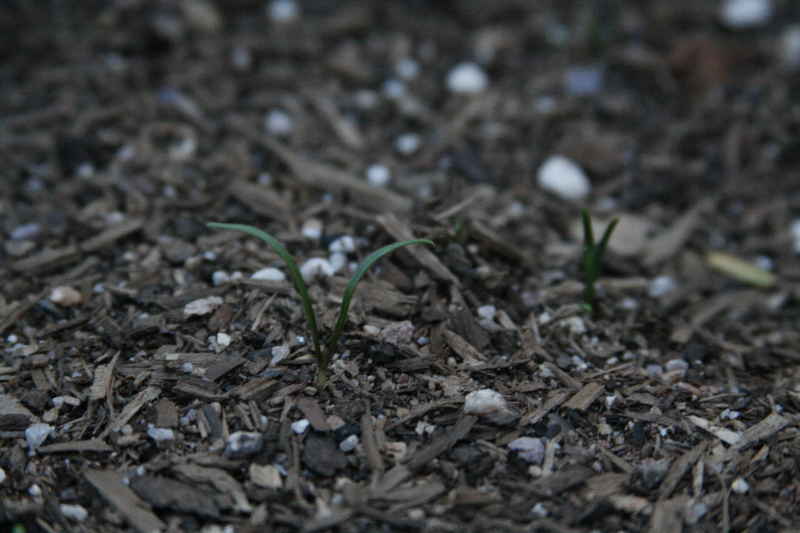 So far, according to our garden map, we’ve got spinach, thyme, and rosemary racing out of the growing gate this spring. I’m not surprised at their appearance, though; it’s just the keeping them alive and happy that has been a challenge in my experience. A) Set up the boxes where the sun only passes over it in the morning and early afternoon. Since that side of the yard is always so choked with weeds, we decided to listen to the plants. They tell us it’s a good place. B) We have bought some thick sun screening that we can drape over the plants beds, which cut down the sun’s intensity by 30-40 percent, and a few degrees. It’s amazing what that little relief can do for any living thing out here. C) We plan to water only at night. It’s basically useless to do it during the day, because it would evaporate too quickly for the dirt to get a good soak. Plus any watering when the sun is out could burn leaves, and hurt the plant. And that’s our plan! Keep posted, as we learn together what works – and what doesn’t.